Our other Deadwood location properties are located around the northern Black Hills, close to amenities, and easily accessible by your group! From Spearfish, to outside of Sturigs, to the heart of Lead or Deadwood, these properties are sure to give your group the location you've been looking for during your stay! Hill Top Lodge is sure you be your next favorite vacation home. 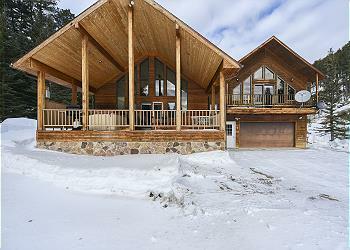 With 3.5 acres, a pond, great access to the local ATV/Snowmobile trails and just a short drive to Deadwood. You'll have it all here at the cabin to make new memories on your next vacation! Looking for a property that you can host events for up to 32 people, you've found it here at Sacred Mountain. 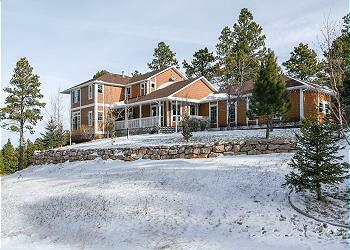 Nestled on a hill top among 65 beautiful Black Hills Acres, this 8,000 sq. ft. property is filled with a commercial kitchen, games, and space! 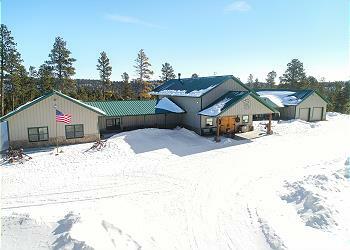 Secluded single level cabin off highway 385 with a huge heated garage for your toys! You'll enjoy living in nature and seeing all the wildlife at this wonderful property! 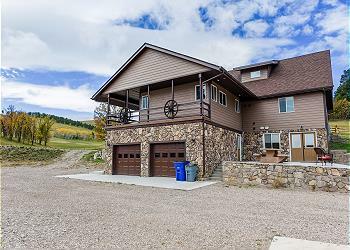 Muley Hill Lodge is a perfectly located 4 bedroom 3 bath completed renovated like new getaway home. 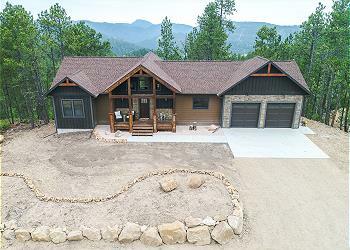 You'll have unmatched views, 8+ acres of wildlife viewing, a fire pit on the patio, garages to store your toys, and great proximity to Deadwood. 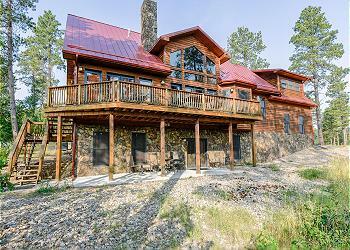 At only 3 miles from Deadwood on all paved roads, how could you go wrong with this large home away from home. 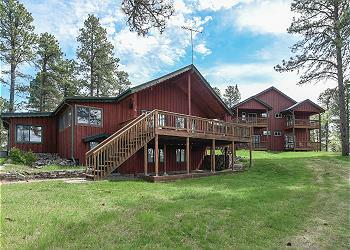 Great proximity to Sturgis, Deadwood, Spearfish, and Rapid City! All the amenities of home with foosball table and peaceful surroundings! 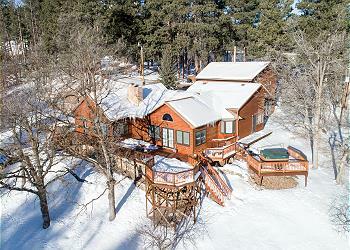 Have you been dreaming of a Black Hills Vacation? 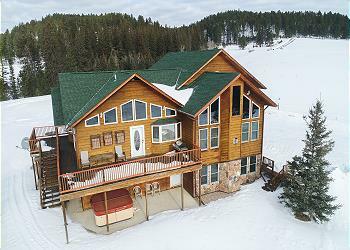 Aspen Summit is the perfect cabin on one of the most beautiful hilltops outside of Deadwood. This Brand New 3 BR Getaway home is the perfect place to enjoy some R & R with easy access to ATV trails nearby. You've been looking for a vacation like this. Cedar lodge is a wonderful home built on a majestic 4.5 acre property complete with a pond, mountain stream, and plenty of space! 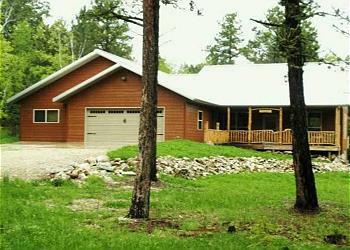 Bring you and 9 more people and enjoy a fantastic getaway in the Black Hills! 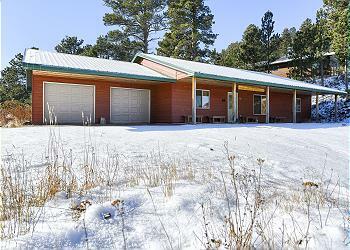 Large, secluded private home nestled on 27 Black Hills acres. With 10,000 sq. ft. to spread out in and beds to sleep up to 32 people, private decks for each bedroom - 8 in total - full commercial kitchen, and whirlpool tubs in many of the bedrooms! 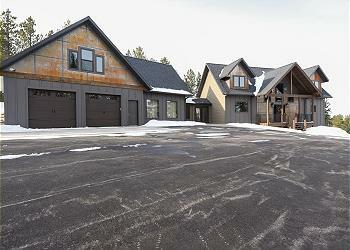 Crooked Pine is a newly built home secluded among the pine trees! You'll love the privacy this property has to offer with plenty of room for 10 people!